'Snow White and the Huntsman' movie quotes include the best lines from this 2012 action-adventure film starring Charlize Theron, Kristen Stewart and Chris Hemsworth. This highly-anticipated movie, based on the classic fairy tale Snow White by the Brothers Grimm, an evil queen (Theron) enlists the help of the Huntsman (Hemsworth) to track down and kill Snow White (Stewart). Queen Ravenna believes that if she consumes Snow's heart, she will live forever. 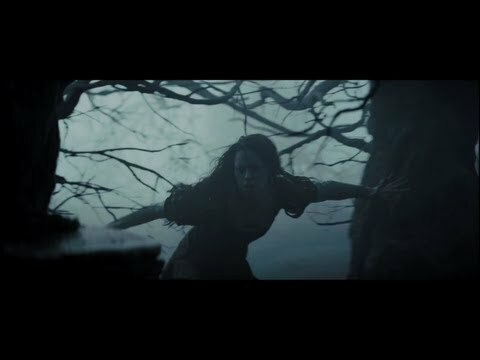 Some of the best quotes from 'Snow White and the Huntsman' include lines from the major characters, including the Queen's Mirror Man. See a favorite? Vote it up. And, if you see a 'Snow White and the Huntsman' quote that's missing, add it. The 2012 version of 'Snow White and the Huntsman' is decidedly darker than the classic Disney film. Directed by Rupert Sanders, this dark, dangerous tale follows Snow White as she tries to escape the clutches of evil Queen Ravenna and, eventually, overthrow her. The Queen wants to rule everywhere, including the Kingdom of England, but she can't as long as Snow White lives. Snow is the rightful heir to the Kingdom, and she's destined to succeed the Queen as the "Fairest of them all." Ravenna can't have that, so she hires the Huntsman to track Snow down and kill her. The Huntsman, however, decides he can't do that -- so together, with the help of the dwarves, the group plots to rid the world of the evil Queen Ravenna once and for all. Queen Ravenna: "Mirror, mirror on the wall. Who is fairest of them all?" Mirror Man: "You are the fairest, but there is another destined to surpass you." This is the crux of the Queen's problem: Her stepdaughter, Snow White, is the rightful heir to the Kingdom. If she lives, someday she'll become Queen -- and she'll replace Ravenna as the Fairest of Them All. Queen Ravenna: "Do you hear that? It's the sound of battles fought and lives lost. It once pained me to know that I am the cause of such despair. But now their cries give me strength. Beauty is my power." Queen Ravenna (Charlize Theron) has already conquered several kingdoms, but she can't win England without eliminating Snow White. In her rise to power, she's destroyed lives and brought darkness to all the land. Queen Ravenna: "Lips red as blood. Hair black as night. Bring me your heart my dear, dear Snow White." In her determination to live forever as the most beautiful woman ever, Queen Ravenna decides that Snow White (Kristen Stewart) has to die. Otherwise, she'll be replaced. Snow White: "I've seen what she sees. I can kill her." Only Snow White can defeat Queen Ravenna, but doing so won't be easy. She'll need help, in the form of the Huntsman and the dwarves (among others). Oh, and Prince William (Sam Claflin), is also down with the plan to destroy the Queen and take back the Kingdom.